Price $15 Value $30 View it! This product will be for sale until it is sold out. Get yours before we run out of stock. Shipping: $5 for first item plus $2 for each additional item. You must be over 18 years old and agree to our terms and conditions to purchase this item. At this time, we do not ship International. We only accept US mailing addresses (no PO boxes). Features a 2.25 in. blade and a 3.13 in. 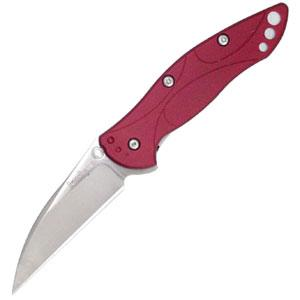 6061-T6 anodized red aluminum handle. Comes complete with a pocket clip. © 2019 Tactical Daily Deals.